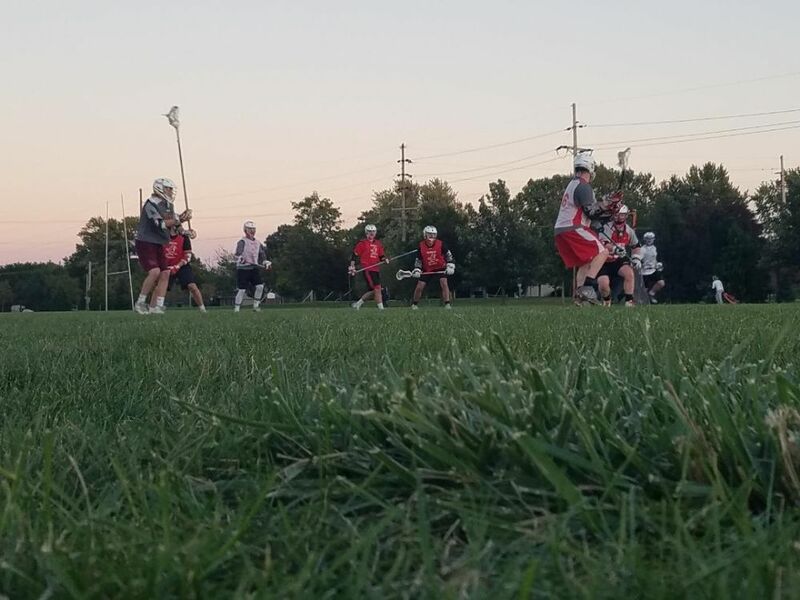 The Illinois State Lacrosse Club was established in 1988 and remains one of the oldest clubs on the Illinois State University campus. The team competes in the Eastern half of the Upper Midwest Lacrosse Conference (UMLC) of the Men's Collegiate Lacrosse Association (MCLA). We are a competitive team and look to excel in our division and conference. Our regular season is in the spring, but we practice and play games throughout the academic year. The club is not only a team, but a family. The Birds have officially kicked off their 2018 fall season with practices on Gregory Street Fields. Many new faces graced the field during the first week of practice. Among them were midfielder and Schaumburg High alum Alec Greenholdt, the defenseman from Oswego Sean Raleigh, and Senior Faceoff specialist Troy Furlong. With the additions of these and many more, the Redbirds look hungry and eager to make their mark on the UMLC in 2019. One returning player who has stood out of the pack and emerged as a leader on the defense is Sophomore defensive midfielder Dylan "Mute" Gryczan. Dylan helped provide insight on how he's stepped up his game. "I hit the weights, ran a ton, and really started eating right and that's what has been the difference." Dylan went on to say, "I was actually really excited to start playing this year. It's crazy how much of a stress reliever that pracitce really is." Mute also opened up about his expectations regarding the coming season. "It should be a lot of hard work; a lot less goals are going in on defense this year. We are going to rock the house and earn some dubs." Dylan looks to improve on his 8 groundballs and lone assist that he gathered during his freshman season. The Riverside native earned his nickname as one of the more reserved and calm personalities on the team and will lock down a defensive midfielder unit alongside Club President Anthony Cecchin. The Redbirds look to prepare for the upcoming season with more pracices on Gregory Street Fields, Horton Field House, and Gametime Gym. Jason Robert Nash- Defense; 6'1" 185 lbs. ; William Fremd High School in Palatine, Illinois. April 15th 1986 - September 15th 2008 R.I.P. This Saturday will mark 10 years we have been without Jason Nash and the team would like to reflect back on Jason's life to show just how much he meant to this organization and how many lives he has touched since his untimely death. Nash was born April 15th, 1986, in Arlington Heights, Illinois, to Lynn and Robert Nash. Jason graduated from Fremd High School in 2004 and breifly attended Western Illinois University and Harper Community College before joining the Navy in 2005. Jason was a part of a Navy Reserves Unit that was deployed to Iraq in 2006 and, upon arriving home, he had been awarded the Seabee Combart Warfare Medal and the Navy and Marine Corps Achievement Medal, among others. Nash played defense for Illinois State University during the 2007 and 2008 campaigns. Jason gained the reputation as a perfectionist on the team and became a vital part of the dynamic of a brutal, hard-nosed defense. He passed away at the age of 22 after choosing to end his own life, suffering symptoms associated with PTSD and depression. 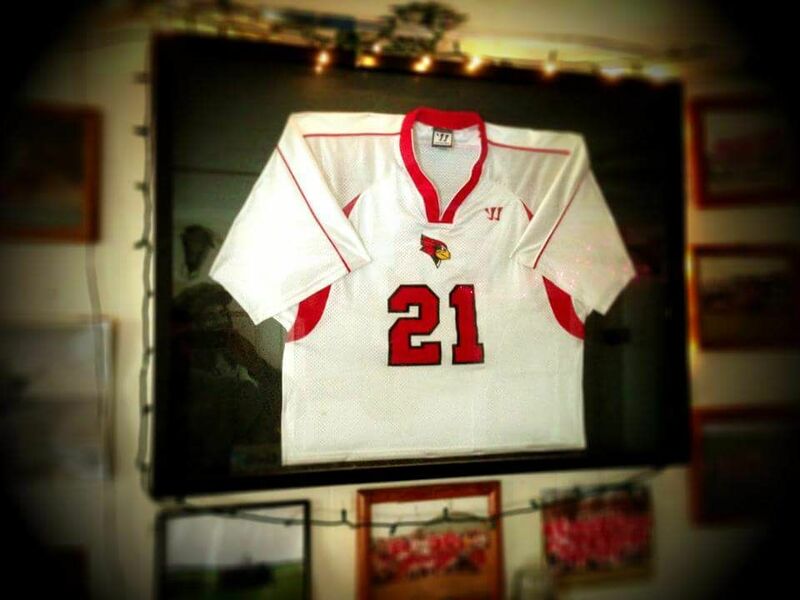 Since then, Jason has become the symbol of brotherhood between the members of the Redbirds lacrosse team, has his jersey framed and held by members of the current team, and is the only player in Redbirds history to have his number retired. A quote that has defined Jason's legacy has carried on these 10 years, "Play every shift like it's your last." 10 years later, no one on the current team has ever heard Jason laugh, seen him run, or has shaken his hand; but every player knows the story his legacy tells. Nash has given the Illinois State Men's Lacrosse Team a lesson in how powerful a group of friends can be, especially to a young man struggling through life. Redbirds Alumni tell the story every year to younger players how the last thing they want to see from this team, win or lose, is another framed jersey. Jason has become part of the mold that cements this team together through adversity and wherever Jason is, the team knows he is proud of them and the bond they share. The 2019 spring season will be dedicated to Jason R. Nash. Every goal scored, every faceoff won, and every groundball scooped up, will be with Nash in mind. In addition, the team will wear yellow ribbons this year to raise awareness for suicide prevention as well as to support our troops. The 2018 Jason Nash Heart & Hustle award winner, Nick Graf explains what this award means to him and how it will help prepare him for the coming season. "It means a lot to have the award because it's a validation of the game I try to play. At the end of the day though, I don't play for awards; I play because I love the time I spend on the field and I think J. Nash would approve of that." The senior midfielder went on to say, "In terms of preparation, it has been business as usual: hitting the weights and playing basketball to keep the cardio up." Graf looks to lead his team by example this year, similarly to how Nash had done over 10 years earlier. Gone but not forgotten; Rest in Paradise, Jason Robert Nash. "Play Every Shift Like It's Your Last." Illinois State University School Year 2018-2019 has officially begun! The Illinois State Redbirds waste no time to start involving new players to the team. The first official team event will be the Illinois State Rec Department's Sports Club Expo on the Quad Tuesday, August 21st. If any new player misses their chance to visit the Redbirds then, they would not have to worry, the team will also have a table on the Quad at Festival ISU Thursday, August 30th. 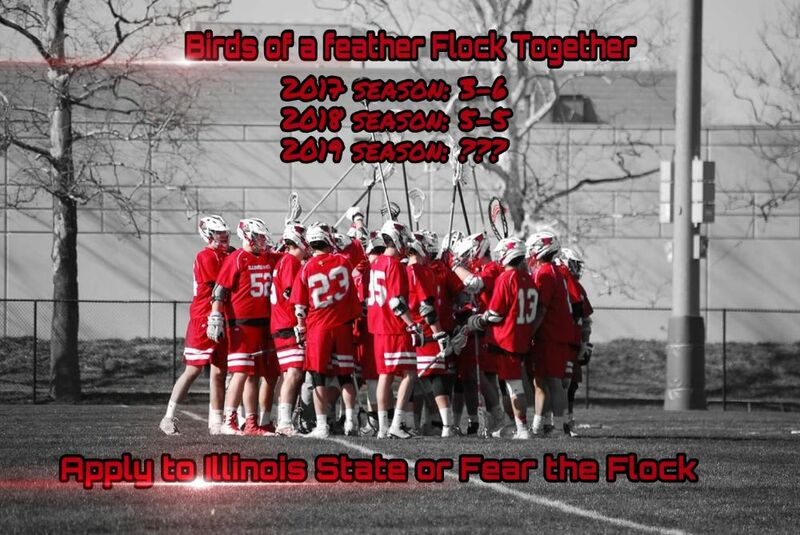 With whichever event you see us at, newcomers will be able to ask future teammates and friends what it is like to play lacrosse for the Redbirds. New players will also be given a time and location for our first informational meeting the evening of Thursday, August 30th, where the coaching staff introduces themselves and Club President Anthony Cecchin helps explain the details of playing lacrosse for Illinois State University. One teammate that is hard to miss is Senior Defenseman Andrew "Eck" Eckelberry. Andrew has seen an increased role with both his playing time and administrative roles in his first three years and has earned the reputation as one of the bigger personalities on the team. When asked what team event he was most looking forward to, Eck answered without hesitation. "Laxgiving." The senior from Barlett went into detail on how the team's thanksgiving dinner was not only a great meal, but it was a great bonding moment referring to the event as, "a fun family get-together." Andrew will start his last season on the injury report after sufferring another shoulder injury this summer. When asked what kind of legacy he wanted to leave behind for his team, Eckelberry replied, "I want to be remembered as the guy who did everything he could to help his friends get better." Eck will unfortunately run out of eligibility at the end of this school year, but plans to stay somewhat involved in the team afterwards. 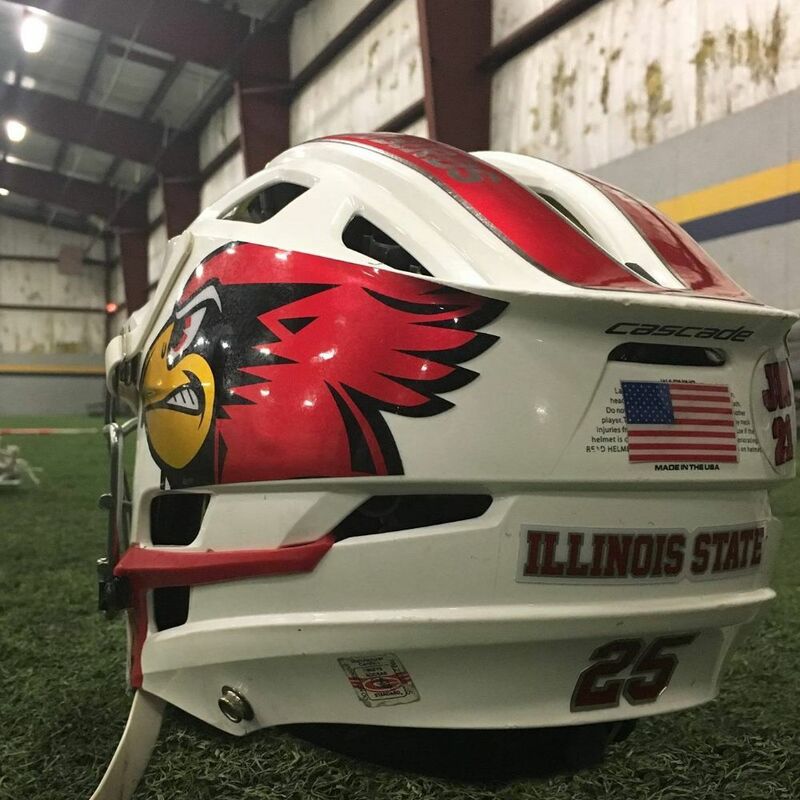 Make sure to watch 'ISU Redbirds Lacrosse' on Facebook and @ISULacrosse on twitter for specific times and locations for our events! With less than 30 days until the 2018 fall semester begins, the Redbirds are already eager to build on last season's historic run. Taking a look back at last year, the Birds look to accomplish much more. Last season the Redbirds posted a 4-4 regular season record and made the playoffs for the 1st time since 2014. The high point of the season came on a 9-8 post-season upset to the top ranked Iowa State Cyclones in the first round of the UMLC playoffs! Sources say this win was the Redbirds first playoff victory since 2008 when the Redbirds vanquished the Ole Miss Rebels 10-1. Luckily, the Redbirds had a young team last year losing only defensive captian Jarrett "Plow" DeFields to student teaching and the team's 2018 Offensive Player of the Year and only senior, Remy Crabtree to graduation. The Redbirds will once again rely on the stick of reigning team MVP, Matt Lowry, to lead the birds deeper into the playoffs. Key returning players include defenseman Pat Riley, attackman Drew "Boo" Schout, and midfielder Pat Yielding. 1st year returners looking to take on heavier roles include Casey Weldon, Sam Kraker, and Alex Walls. Lowry, coming off a huge year with 31 goals scored, heads into his 3rd year with the team. When asked what the team needs to work on in the off-season in order to be successful next spring, the junior captain simply replied, "Ball Possession." The Redbird offense only put up double digit scores 3 times last year (Missouri Science & Technology, St. Cloud State, and Illinois); in all 3 contests, the Redbirds earned the "W". The Redbirds start school on August 20th. Fear the Flock!